Thanks to the application of green manure, gentle pruning and organic pesticides, our olive trees have come into their own. The organic oil we produce directly from the olives is of the highest quality. Our oil comes in three bottle sizes: 200, 250 and 500ml. 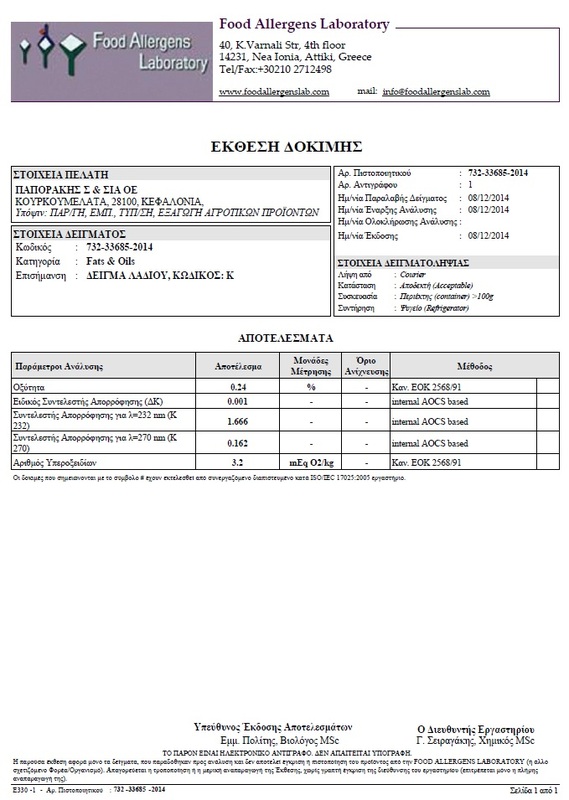 To view the test report of our olive oil click HERE. 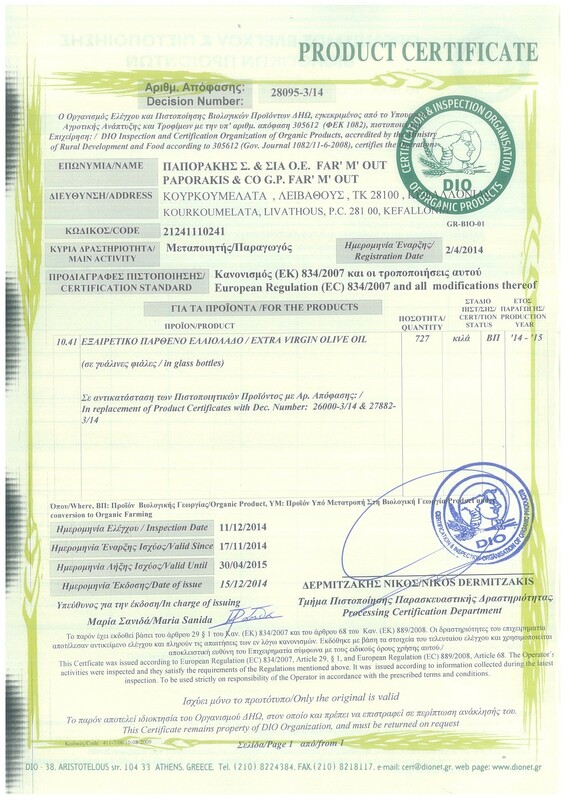 To view the certification of our olive oil click HERE. For shipping methods / payment click HERE.